Ultraviolet (UV) radiation is a familiar concept to many and the damage it can cause to your skin is well known as well. Much less well known, however, is the damage that UV radiation can do to your eyes. Too much UV radiation can give your eyes a kind of ‘sunburn of the eye,’ called photokeratitis, and excessive UV exposure over your lifetime can significantly increase your chances of developing serious problems with your eyes later in life, such as age-related macular degeneration and cataracts. Expert studies suggest that high-quality sunglasses can significantly reduce the number of UV rays entering your eyes, reducing your risk of photokeratitis and long term damage. Furthermore, since they protect the sensitive skin around the eyes from receiving too much direct UV radiation, wearing sunglasses may also help to reduce wrinkles. The excessive UV radiation is not the only risk sunglasses can help you reduce. Everyday reflective surfaces, such as snow, water, road surfaces, and car windshields, reflect a great deal of light and can do significant damage to your eyes with extended exposure. Good sunglasses can do a great deal to protect your eyes against this glare. Furthermore, sunglasses can help prevent potentially life-threatening situations by reducing the chances that bright glare may momentarily blind you while driving or biking. Everyone should have a good pair of sunglasses. Whether you wear prescription eyeglasses or not, sunglasses are important for every age, race, and gender. While sunglasses may be considered a must-have fashion accessory, even more importantly, they play a critical role in protecting your eyes from UV (ultraviolet) and other harmful radiation from the sun. They also shield your eyes from wind, dust, and debris that could cause discomfort, dryness or damage. Sunglasses serve as a combination of function and fashion and therefore come in a plethora of shapes and styles. Sunglasses are often larger than eyeglasses to cover more surface area and prevent sunlight from entering around the lenses. 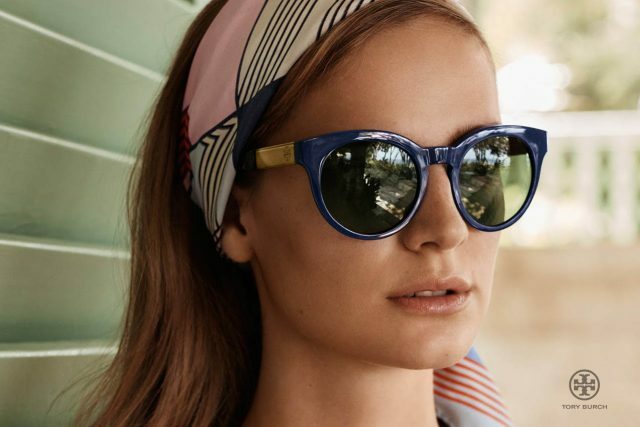 While fashion sunglasses are made in all of the latest styles from aviator to cat eyes, round, square and oversized, sports sunglasses are generally more durable and broad, often in wraparound styles that prevent sunlight from entering from the sides as well. Wrap-around frames are a good option for athletes, fishermen, and bikers that spend a lot of time outdoors in the sun. Lenses are the most important part of any pair of sunglasses. As mentioned above, all lenses should block 100% UV rays but beyond that, there are many options for sunglass lenses. Polycarbonate or trivex lenses are impact-resistant to increase safety during sports and outdoor activities. Polarized lenses help to reduce glare and are particularly helpful during activities on or near the water such as boating, fishing or beaching. Anti-glare and anti-scratch coatings are also beneficial to maintain your best vision in a variety of conditions.